It's time for Making Up For Monday! This is a weekly meme hosted by me that asks some fun literary questions. Feel free to play along! This week's question: What is your favorite banned book? Last week was Banned Book Week. I am a huge fan of banned books. They always seemed to be banned for the silliest reasons. Usually the book is just misunderstood by someone. 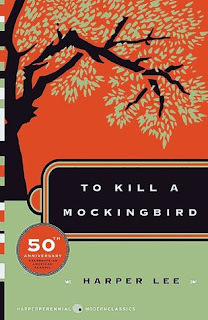 My favorite banned book is easily To Kill A Mockingbird by Harper Lee. It was banned for being "racist". Seriously, someone didn't even read the book if they got that! This week's question: If someone wrote a book about your life, what would the title be? Sorry this post was a day late. My wee one has really thrown off my schedule! This week's question: What was your favorite book as a child and why? This is an easy one for me. 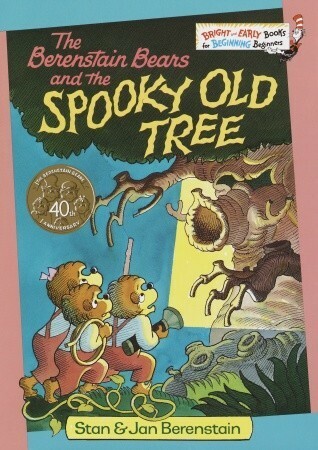 Hands down, my favorite book as a child was Spooky Old Tree! My dad read it to me as a kid and really got into it, which made it so much fun. To this day, if I know someone who has a kid, I get them this book. Books have always been a large part of my life. Ever since I was a kid, I remember locking myself away and getting lost in a story. Once I entered middle school, I learned I could lose myself in writing as well. So I figured, why not combine the two? I'll admit that I am not like other reviewers in that I full-heartily admit my bias. Genres, topics, and authors will begin to sway my judgement long before I start the book, and I am ok with that. 1 Star: Ugh....I wish I had stopped reading. 2 Stars: Terrible with some tiny redeeming quality. 3 Stars: Not terrible by any means, but not great. Read it or don't; I don't care.